Fans of crime non-fiction everywhere will be happy to learn that Lee paused briefly from the relentless demands of daily journalism to produce his first book. 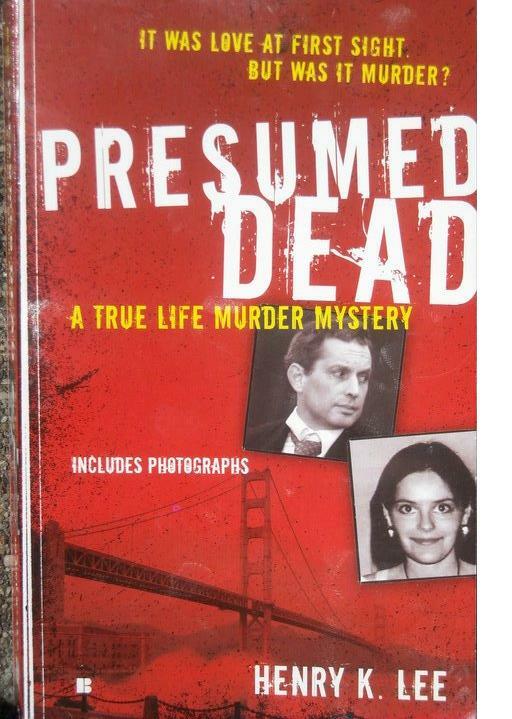 “Presumed Dead,” which comes out next week, investigates the strange, sordid, and sad story of Hans and Nina Reiser, a murder mystery that touched close to home for folks living in the Oakland Hills. The Reisers lived on Marden Lane. And when Hans finally confessed, and told police where he hid his wife’s body, she was found on a deer trail near Redwood Regional Park. We spoke to Lee on Tuesday about the case and his new book. Today in Montclair: You’ve reported on hundreds, probably thousands, of crime stories over the years, why did you choose this one to turn into a book? Henry Lee: I covered the case from the very beginning, from the moment Nina first went missing. I ended up chasing Hans for a quote on the streets of Oakland. I was there everyday during the six month-long trial. It was full of twists and turns. And in between there was Hans’ strange behavior on the stand, his strange behavior before his arrest, and his stubbornness throughout the whole process. There was too much that could not be put into a newspaper article, so many elements of the story that needed some explanation. TIM: What did you learn while researching Presumed Dead that surprised you? HL: I certainly learned more about the case while working on the book. The behind the scenes stakeouts that the police conducted, the plane they used to surveil Hans from the air, there was a lot of technology that the public didn’t know about. TIM: When you were watching Hans Reiser plead his innocence in court, did you believe him? HL: There was a lot of circumstantial evidence that made people think he was the responsible person. I certainly had my suspicions about Hans from the very beginning because there were a lot of holes that needed to be filled. But there were three viable suspects from the start: Nina’s current boyfriend, Nina’s former boyfriend, and Hans. All three were looked at with equal fervor. TIM: What’s the most interesting part of the tale for you? HL: There’s a lot of key players in the case, and they all stand out in their own right. The interplay and interaction between all these people was quite fascinating. I am able to get into a Hans’ innermost thoughts. Sources close to the case gave me emails, letters, and wiretap conversations. TIM: Did you talk to Hans for the book? TIM: How do you stay remarkably cheerful, surrounded as you are by so much of what’s ugly and tragic about human behavior. HL: I count my blessings, and make the most of everyday. Henry Lee will be at A Great Good Place for Books on Wednesday, July 7 for a launch party. The party starts at 7 pm. Enjoy wine and cheese, buy the book, and meet the author.